Home / About Us / Meet Our Physicians / Jeffrey A. Bash, M.D. 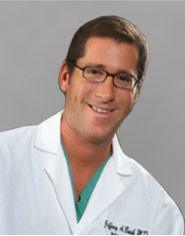 Dr. Bash is a spine surgeon affiliated with Middlesex Hospital. He is certified by the American Board of Orthopedic Surgery. A graduate of New York University School of Medicine, Dr. Bash completed his residency at the New York University Medical Center and the Hospital for Joint Diseases. He also completed a fellowship in Spine Surgery at Texas Back Institute.